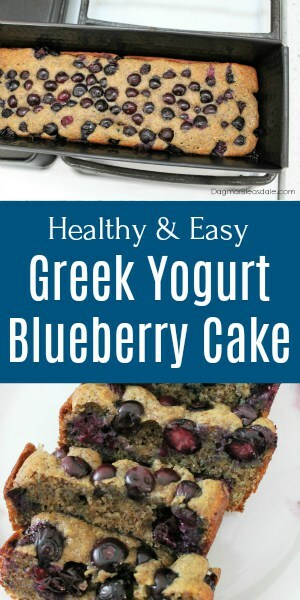 I saw Lidia’s recipe on Pinterest yesterday, and it immediately interested me because it had blueberries and Greek yogurt in the title. 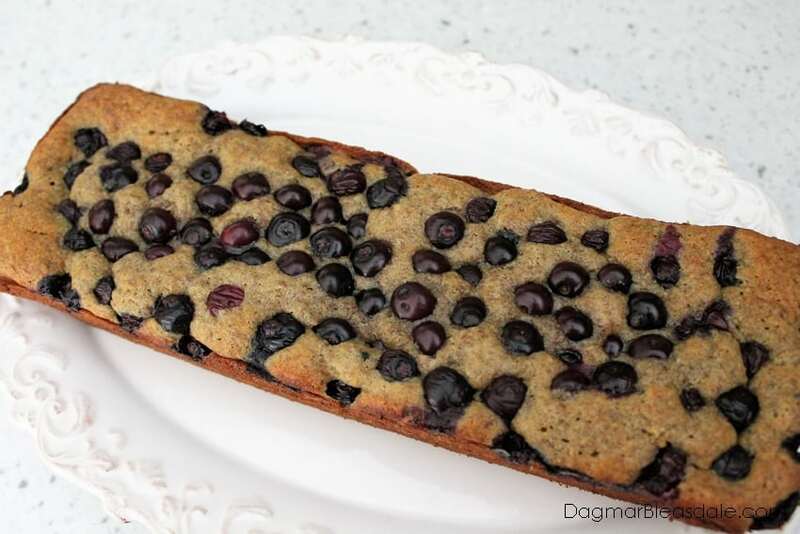 Blueberries and yogurt — a healthy cake recipe! I’m in! 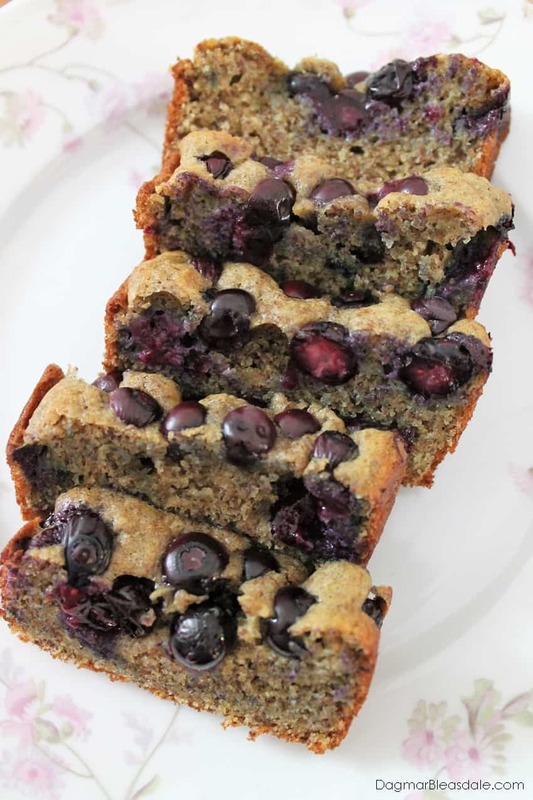 I had just bought blueberries, and when I looked at the list of ingredients, I saw that I had all of them at home to make this cake this morning. Landon and I like to bake, but this is the first time we’ve baked together to make something for breakfast. 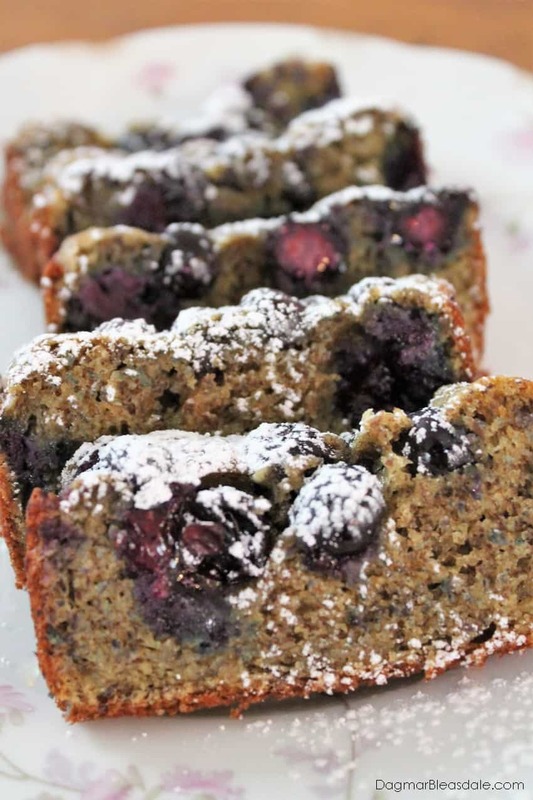 This juicy cake turned out so yummy, and it’s healthy plus easy to make — I just had to share the recipe with you so you can make it as well! 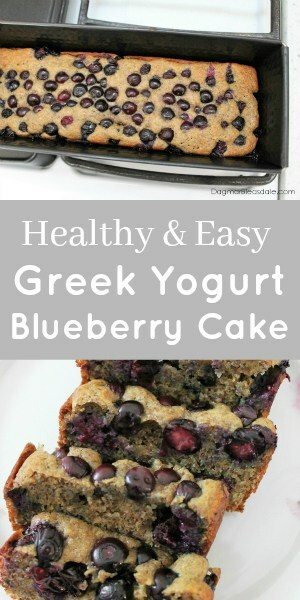 With the blueberries and Greek yogurt, this is a really nutritious cake compared to many others. As per usual, I always change up recipes to make them even healthier, and this time I added flaxseed meal. Greek yogurt adds protein, calcium, and Vitamin D.
Flaxseed meal adds fiber, contains anti-inflammatory omega-3 fatty acids, and antioxidant substances called lignans that help promote hormonal balance. 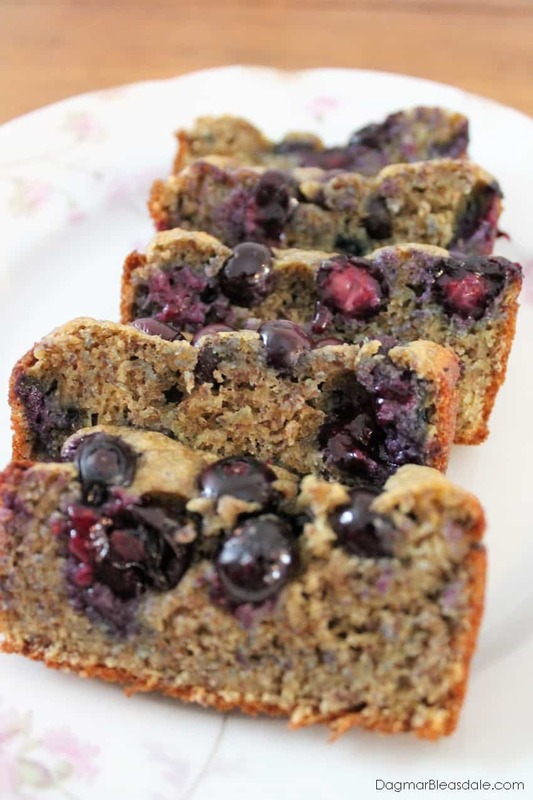 If you don’t have flaxseed meal, don’t worry about it and make this recipe without it. 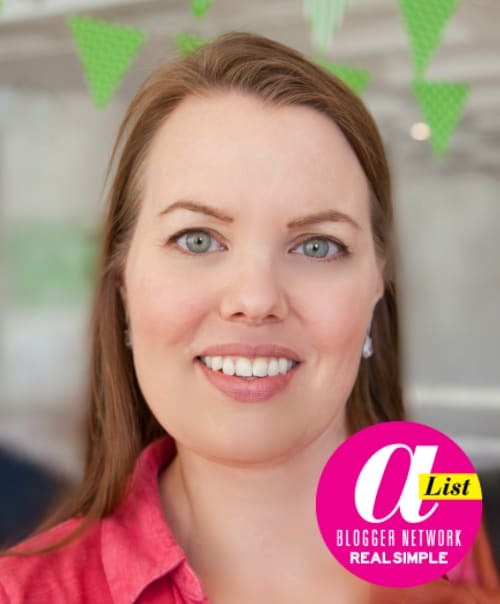 I use organic or non-GMO ingredients whenever possible, but you don’t have to. This cake is not just great for breakfast; you could also make this for afternoon dessert or treat after dinner. We’ve been eating it all day, and it’s almost all gone. Next time I’ll bake two so it’ll last longer, or to give one to our sweet neighbors who we exchange goodies with often. 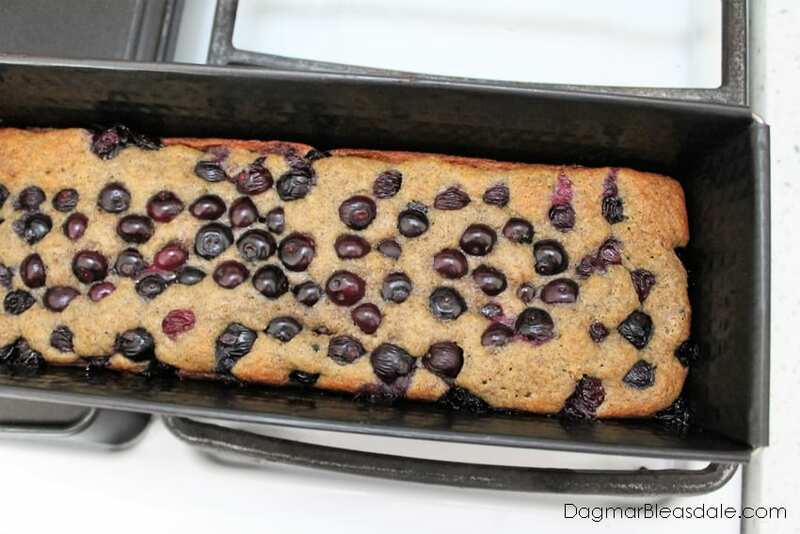 I’m already looking forward to making this healthy blueberry Greek yogurt cake again! Now that I know the measurements, throwing this together is going to be so easy. This looks amazing! It would be perfect for a weekend brunch with the family. Thanks so much for sharing your delicious recipe with us at Merry Monday this week! Looks so delicious! 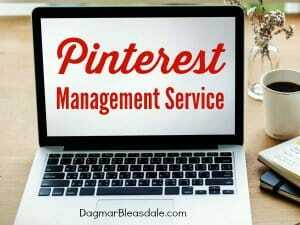 Pinned the recipe to make this weekend.